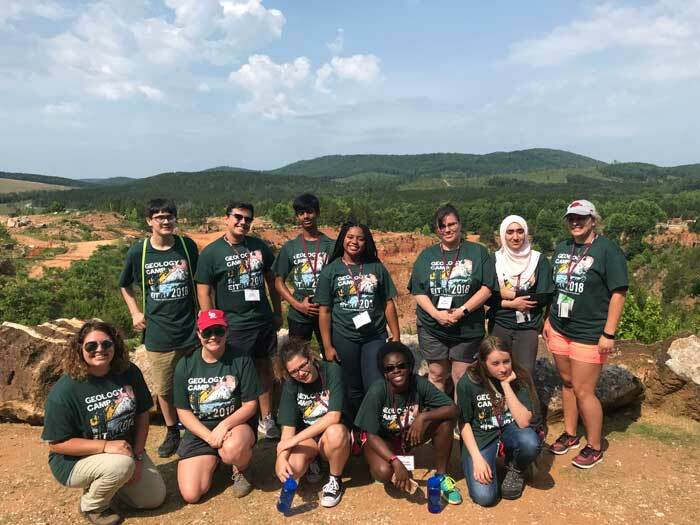 Nine Arkansas students got a taste of life as a geologist during the University of Arkansas at Little Rock’s second Geology Camp. Held June 10-15 on the UA Little Rock campus, the free one-week summer enrichment program was sponsored by the UA Little Rock George W. Donaghey College of Engineering and Information Technology. It offered junior high and high school students a unique overview of life as a geologist. Students studied topics like field mapping, mineralogy, fossils, topographical mapping, and geologic time. 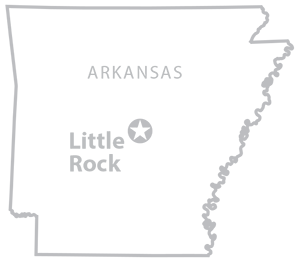 UA Little Rock students Elizabeth Haralson, a graduate student studying environmental geology from Wynne, and Callie Pace, a senior geology major from Mountain Home, led the camp’s activities. Outside the classroom, students took field trips to Coleman Creek, Coleman Quartz Mine, Pinnacle Mountain State Park, and the Arkansas Geological Survey. One of the students’ favorite activities was the exploration of Coleman Creek, where the campers cleaned up the creek, observed wildlife, and collected samples of water and rocks for further study. Bourgeois also appreciated the opportunity to prepare for college. In the upper right photo, the UA Little Rock Geology Camp participants visit the Ron Coleman Mine for Crystal Mining. Front row (L to R): Geology camp instructors Elizabeth Haralson and Callie Pace and students Michelle Jones, Caroline Nalumansi, and Kaitlyn Gill. Back Row: Faizan Parray, Luigi Cutolo, Sreevatsav Seenivasan, Blair King, Jodi Williams, staff member, Insherah Qazi, and Maranda Geoffrion, staff member.